HACKETTSTOWN, NJ, April 28, 2017– The third mystery novel, Miscarriage of Justice: A Farrah Wethers Mystery by Elizabeth Amber Love launches on May 1, 2017 and will be widely available in the retail market by Martini Publishing. Miscarriage of Justice is also part of Amazon’s Kindle Match Book program allowing consumers who buy the paperback edition to buy the ebook for only $.99. It’s also part of the Kindle Book Lending program. You can pre-order the Kindle version now Check on Amazon. “Farrah Wethers and June Cho thought they had seen the darkest personalities of people before, but in this third book, they can’t believe how evil some can be,” said Love. Massage therapist Farrah Wethers becomes friends with one of her pre-natal clients, a young tarot reader named Lenore Lexington. Lenore’s daily life should focus on her growing family, but instead she’s tormented by vicious abuse. Farrah and her best friend June Cho help protect Lenore. They race to solve who is responsible for the threats before Lenore is traumatized further. 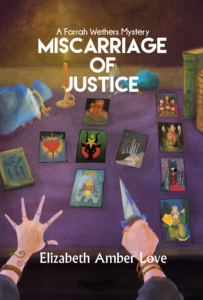 “As with the previous two novels in the series, I was fortunate that artist Thomas Boatwright had the time and interest in making the cover of Miscarriage of Justice so beautiful and eerie,” Love said about her frequent artistic collaborator. 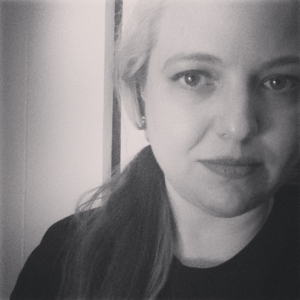 Elizabeth “Amber Love” is the author of comics, short stories, and a memoir. She’s the author of the medium-boiled amateur sleuth Farrah Wether Mysteries. She’s been published in the Anthony Award nominated “Protectors 2: Heroes”. She also hosts the Vodka O’Clock podcast featuring guests from arts and entertainment. 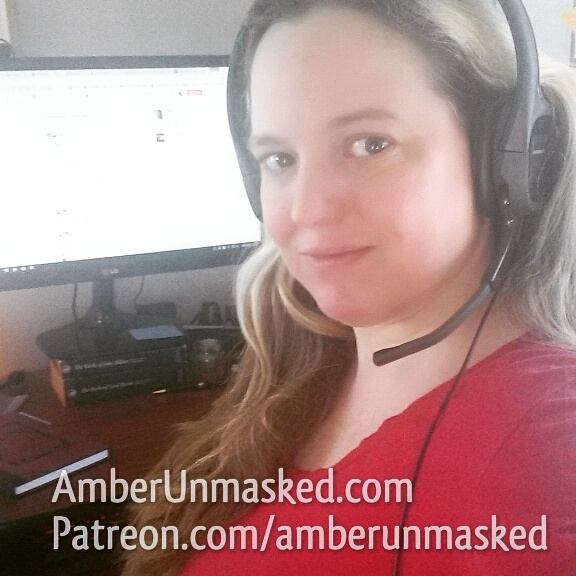 If you would like more information about this topic, please contact Guster Nabu at Twitter @elizabethamber or email at amberlovescomics@gmail.com. Other books in this series: Cardiac Arrest and Full Body Manslaughter.